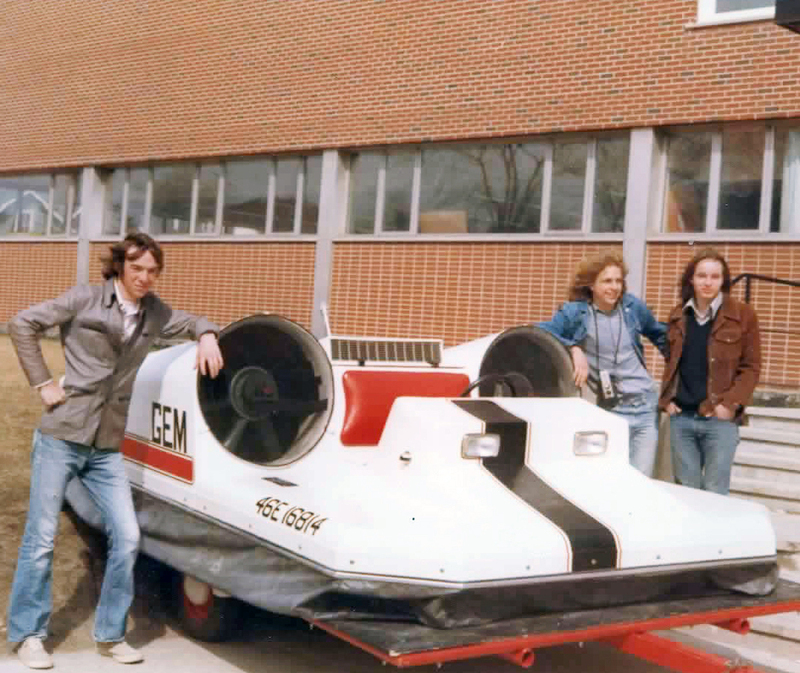 Little did Bruce, Geoff, and I know that 3 years and 3000 hours later (12,000 total man hours) we would be flying GEM, Canada's first student built Ground Effect Machine. The hovercraft did fly and so did we. It's amazing what George Oldenburg inspired us to do. This was my real high school education. This was the beginning of a life-long apprenticeship in building. George was a master teacher and I have become a master builder much because of his influence at such a formative time at my life.